We are an independent Yorkshire-based company with a solid reputation for providing our clients with quality solutions and adding value, whatever surprises a build throws your way. As principal contractors, we manage entire projects from design to ground-works, build and complete fit-out. We are steel-frame building specialists with a 3D modelling team and our own steel fabrication plant. Fifty years in business have earned us the trust and respect of leading architects, construction professionals and the business community across Yorkshire and The North of England. The majority of our business comes through referrals by satisfied clients and partners. We understand building from the ground up and take a practical approach to helping our partners get the best result. Our team is passionate about construction, embraces the latest technology and believes in collaboration at every stage. We excel at providing design and build improvements based on a ‘value-engineering’ concept that can save clients’ time and money. Our service is highly personal, delivered by our own highly trained teams with subcontractors used for specialised tasks only. With direct access to decision-makers, solutions are quickly found ensuring a dynamic building process. We’re proud of our sites which we run meticulously – and are open to clients at all times. Founded in 1968, Sutcliffe Construction remains a privately owned-independent company. With a fifty-year trading history, we are in a strong financial position and our financial accounts are available on request. 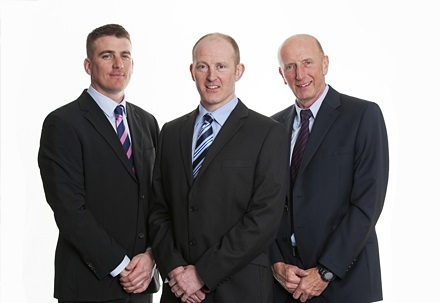 Our senior management team is headed up by managing director James Sutcliffe (centre), responsible for the day-to-day running of the company as well as contracts, design and steel detailing. James started on site and over the past two decades worked his way up to managing director learning every aspect of the business hands-on. Founder David Sutcliffe (right) uses his five decades of construction experience to ensure safety and operations efficiency, working as a director and senior consultant. Sam Allen (left), director and construction manager is a site management expert and responsible for the smooth running of Sutcliffe sites, teams and build schedules. Sutcliffe Construction is CHAS (Contractors Health and Safety Assessment Scheme) accredited and we are on the Constructionline register of approved contractors and consultants. Our employees are highly trained and receive regular in-house and external training. We also employ a Health and Safety Consultant. Our Health and Safety record is excellent and we constantly seek ways to work even safer and smarter. At Sutcliffe Construction, our commitment to the communities in which we live and work is something that has been an integral part of how we do business since we started in 1968. We are a socially and environmentally responsible business, aware of the impact our activities have on people and places and committed to make that as positive an experience as we can, as well as being legally and ethically compliant and profitable. In all aspects of our business, we take responsibility for our actions and we work closely with our employees, clients, suppliers, subcontractors and the wider community. Sutcliffe Construction places great importance on the well-being of our employees and subcontractors. We aim to achieve a safe and healthy working environment for our staff – on site, in transit and in our office and workshops – and encourage work-life balance and healthy lifestyles. We actively eliminate and control risks with rigorous health and safety standards. (see Our Policy here). 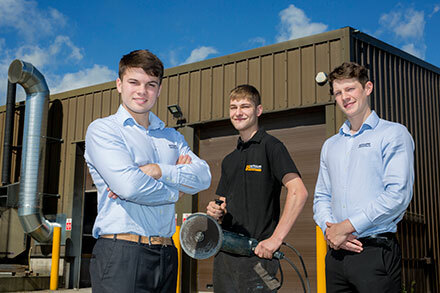 We owe our success as a business to our expertly trained employees and teams, who are passionate about construction, and we are committed to offering the latest training and support for our team members. We are committed to establishing professional partnerships and maintaining healthy, positive working relationships. Sutcliffe values both trust and integrity in our partnerships. With 50 years of expertise, we have developed a highly personal service that embraces the latest technology and believes in collaboration at every stage, including open-minded, timely and effective dialogue with those who are affected by our sites and activities. Our clients have direct access to senior management at all times. We carry out our activities and run our projects according to rigorous professional, ethical and legal standards as well as exercising strong financial control in order to deliver high-quality developments and services to our clients and partners. The Yorkshire dales are our home and where our headquarters are based. As a result, our commitment to preserving and protecting the natural environment is part of our DNA. We take a close and responsible interest in, and respect for, the physical, economic and social environment in our area and on all projects in which we are involved. We aim to contribute towards environmental improvement and sustainable development by using best practice and innovation. We assess environmental impacts at every stage of the business process in consultation with clients, partners, designers, subcontractors and local stakeholders to develop agreed solutions that are sympathetic to both the community and the environment. Our Environmental Policy details our approach to reducing our environmental footprint including energy, raw materials and water use, preventing all types of pollution, minimising waste through reducing, reusing and recycling throughout the company onsite and off. We recycle 99% of all metals. We actively promote this agenda with our employees, clients, partners and stakeholders. Sustainability principles within our buying activities ensure that we balance the social, ethical, environmental and economic impacts with the need to ensure that value for money products are selected. We actively seek and consider renewable alternatives and solutions on all projects where possible. Having being based in the Skipton area for 50 years, Sutcliffe Construction has strong ties to the local community and economy – as an employer, supplier, and corporate citizen. We are committed to serving and helping the local areas in which we work through the use of local labour, subcontractors and suppliers to support the regional economy. We are also committed to raising the profile of the construction industry, engaging with local schools and colleges on careers evenings and talks and actively recruiting apprentices. We make a positive contribution to the community through the support and sponsorship of annual events, organisations and individuals. There is a particular focus on sport as the company is committed to promoting work life balance and encouraging employees to adopt healthy lifestyles. We currently sponsor two local athletes, hammer thrower, Jess Mayho, and fell-runner, Mark McGoldrick. In addition, we sponsor Hellifield Juniors Football Team, Wharfedale Rugby Club, and we have provided new sports kit for Kirkby Malham School (2016). Sutcliffe Construction has also been a long-time supporter of the annual Malham Show and we continue to be silver sponsors of the annual Grassington Festival. 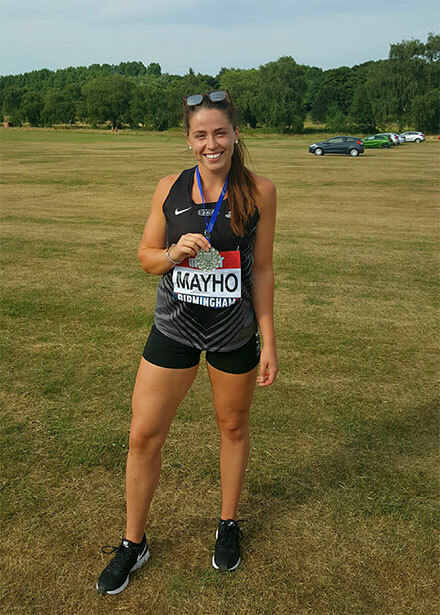 Sutcliffe Construction has sponsored Cononley hammer thrower, Jess Mayho since 2015. Jess has battled a tough couple of years including an injury in 2016 to become a top ranked UK athlete. In 2017 she set a Yorkshire Championship record with a 61.62m throw and won the silver medal in the 2018 Muller Senior British Athletic Championships, coming second to Rio Olympics bronze medallist Sophie Hitchon. She has her sights set on the Team GB Squad for the 2020 Tokyo Olympics. Sutcliffe Construction has sponsored former employee and fell-runner Mark McGoldrick since 2016. In 2017, he achieved a fantastic first in the Chipping Show 7 mile, 1500ft run and third place in the Ingleborough Mountain Race. In 2016, Sutcliffe Construction extended its support of the local and much-loved Grassington Festival, which has been running for decades and is now one of Yorkshire’s top art and music festivals attracting over 300,000 people. In 2017, we increased our support and became a Silver sponsor. Sutcliffe Construction has been longtime fans and supporters of the Malham Show, one of the oldest in the UK. Held annually in the heart of the Yorkshire Dales, the traditional agricultural family show has been going for 100 years, and we are proud to be a part of it.